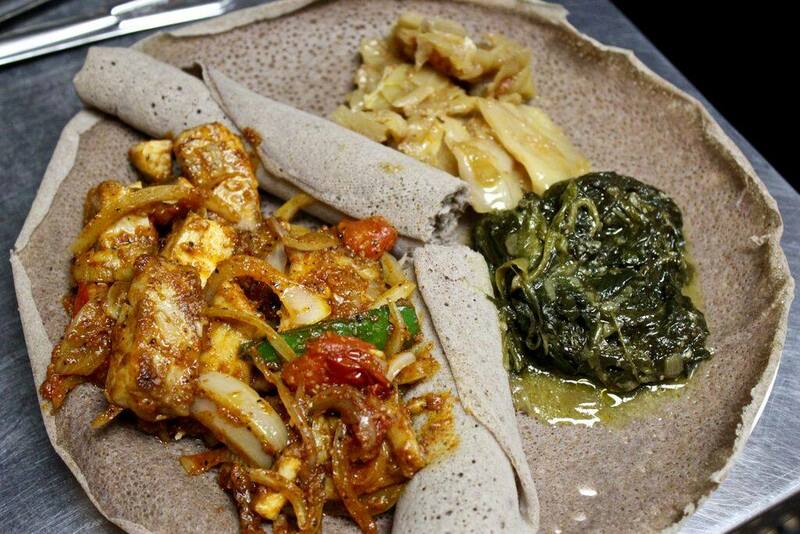 Check out our Lunch & Dinner menu above and get ready for your taste buds to dance! 1). 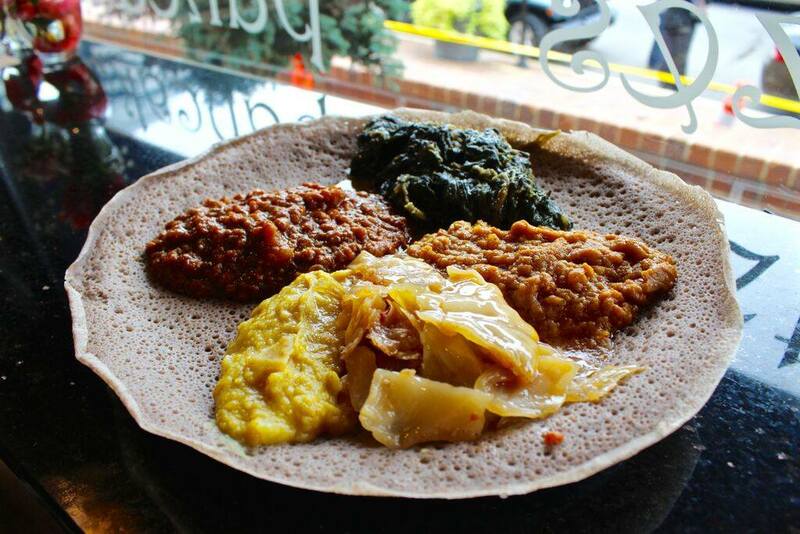 Injera is a sour and spongy round bread, made of teff flour, that’s naturally vegan and gluten-free. 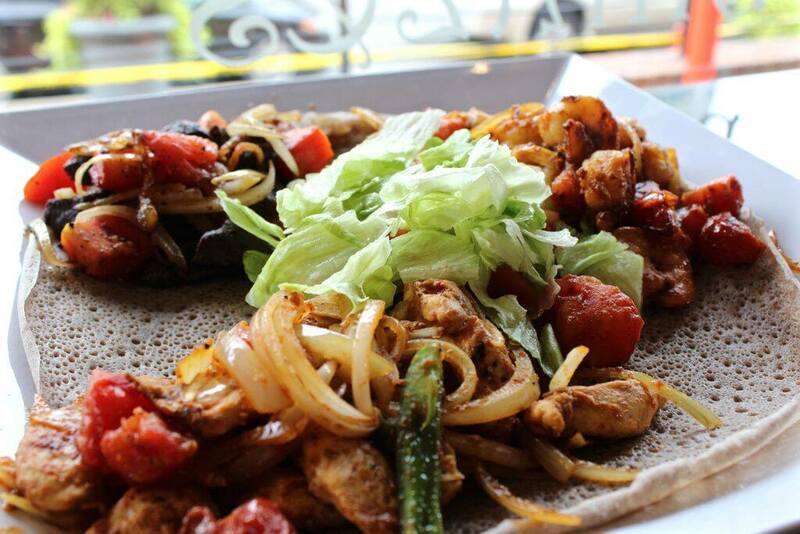 Sauces and dishes are commonly poured on top of the injera, then you tear a piece of injera and scoop up the sauce to eat. 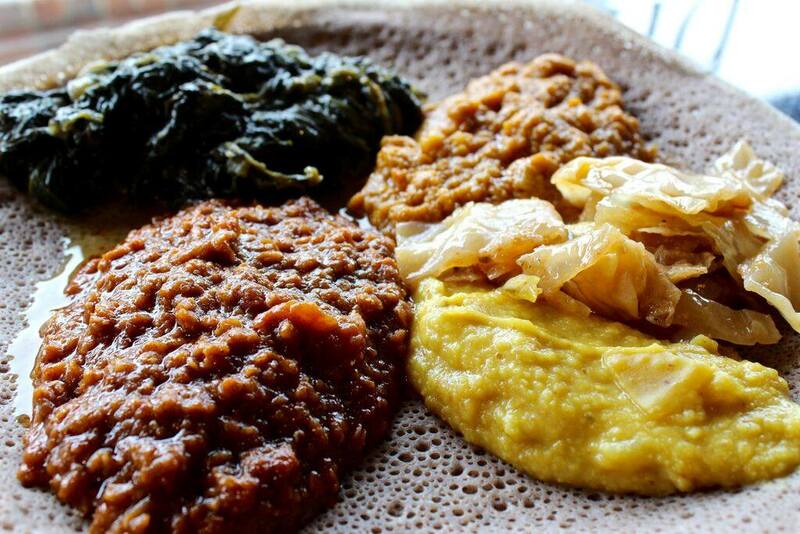 2) Shiro is a delicious chickpea powder-based dish (sometimes also including lentils and broad beans), slow-cooked with Ethiopia’s popular — and spicy — berbere sauce. There are several kinds of shiro to enjoy, from the soupy thin shiro wot to the thick and glob-like (but still delectable) shiro tegamino. 3) Atkilt wot is a delicious vegetable combo of cabbage, carrots, and potatoes simmered in a light sauce. 4) Gomen is made of collard greens and spices. 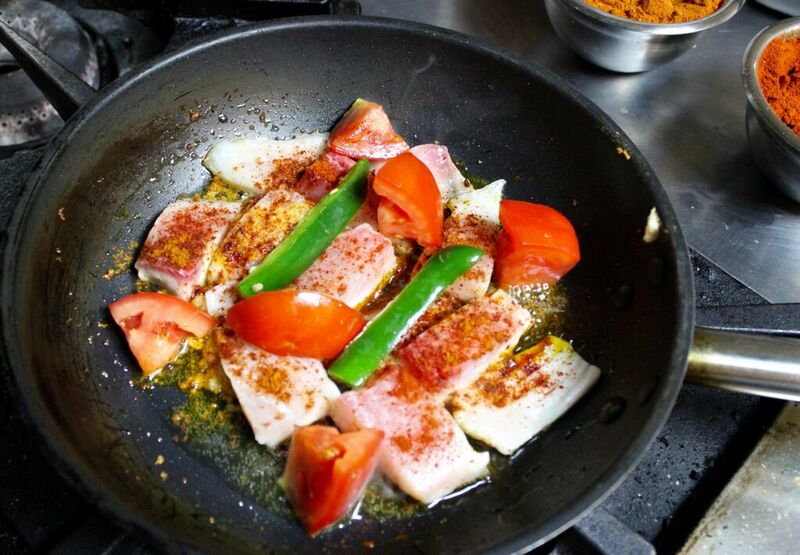 If you didn't like vegetables before, you will after tasting this dish!